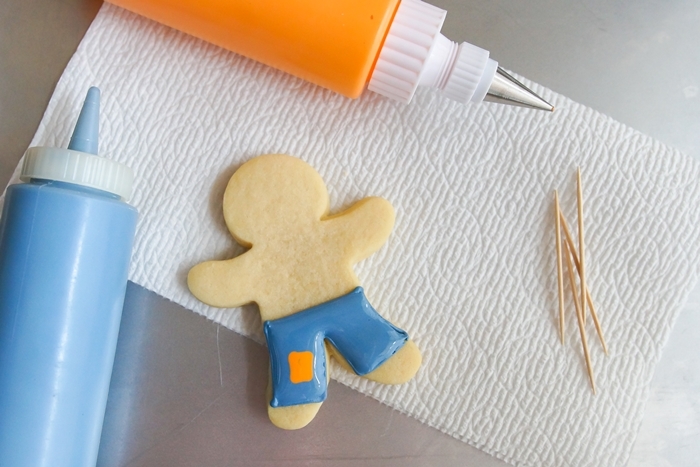 Want to break out that gingerbread man cookie cutter, but just aren't ready for Christmas cookies quite yet? 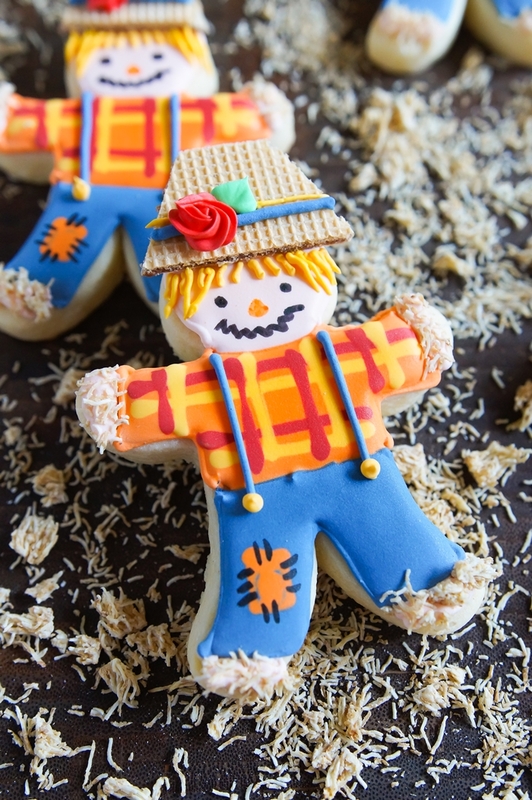 Make scarecrow cookies!!! 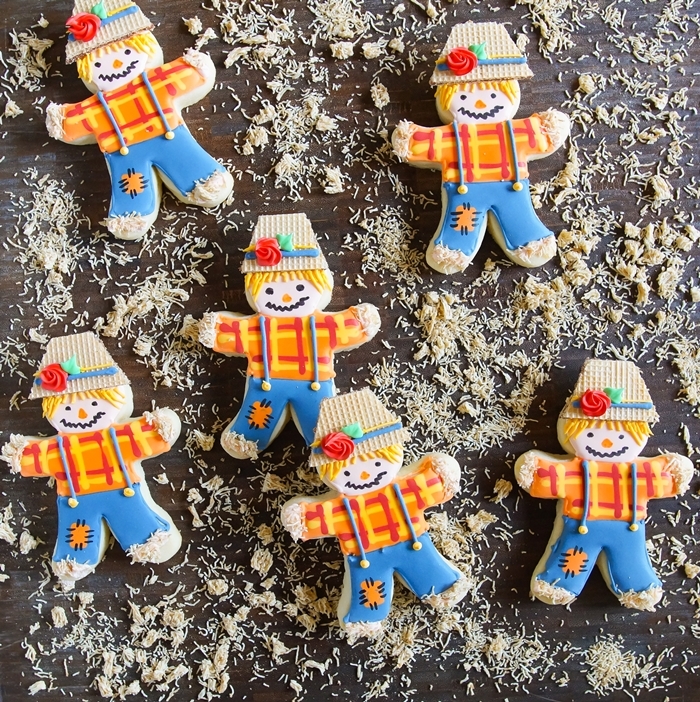 These little guys are the perfect weekend-before-Thanksgiving baking project. 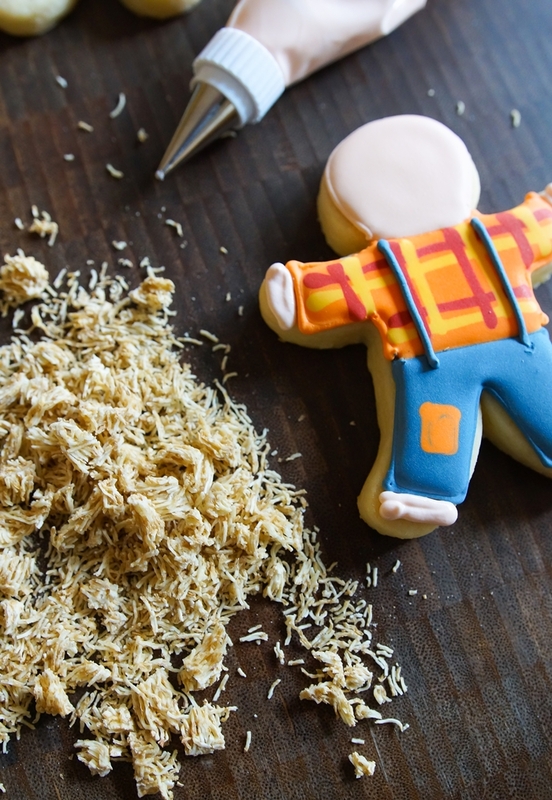 Using two unusual ingredients not typically used in cookie decorating make these especially fun to decorate. 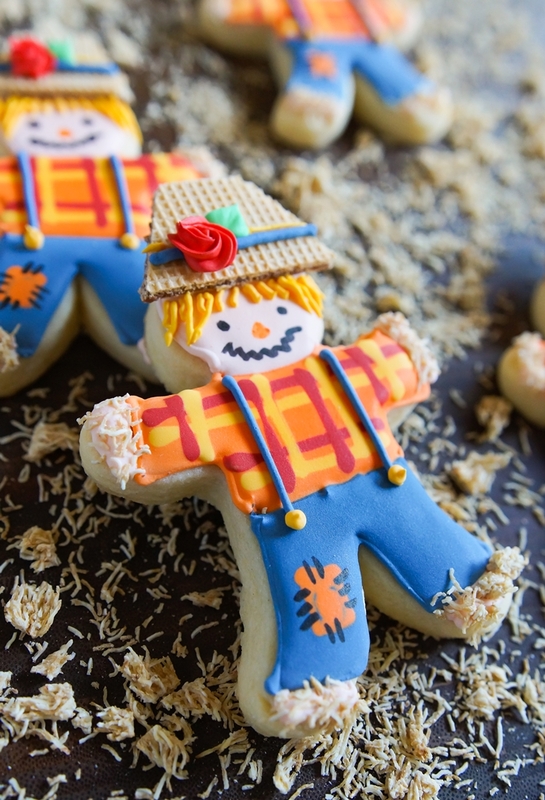 The kiddos will LOVE to make and apply the "hay" for the scarecrows! Can you guess what the hay and hats are made from? Oh Bridget, these are just the CUTEST ever!! So adorable and creative! !